Food insta looking a little lackluster of late? We got you. Smoothie bowls pretty much have it all — they are absurdly delicious, super healthy, and, if you play your cards right, one of the prettiest cuisines to brag about on Instagram. 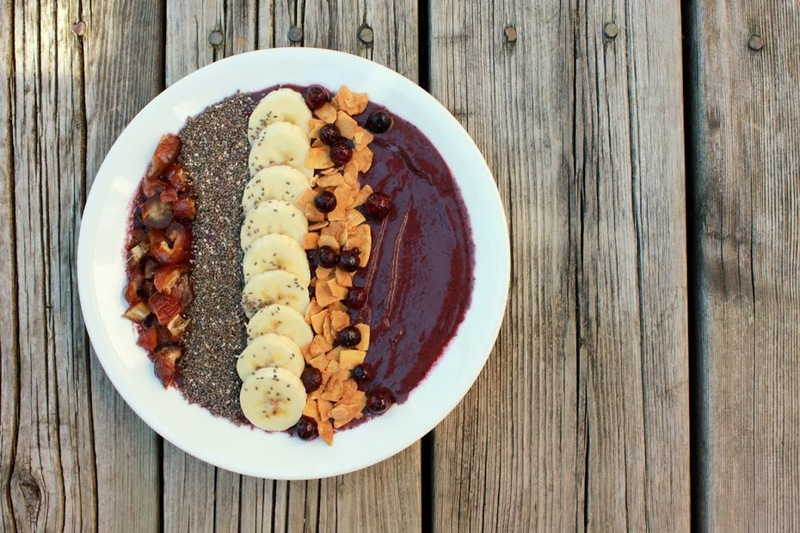 Here are some handy tips and tricks to take your smoothie bowl photoshoot to the next level. An essential key to getting your smoothie bowl to a whole new level of picture perfect is to make sure you get the right consistency from the start. Smoothie bowls are typically on the thicker side to help ensure that your lovely garnishes (see step 2) don’t sink to the bottom like lil edible anchors, which would be super sad. The perfect consistency will make sure your photo looks clean and crisp. 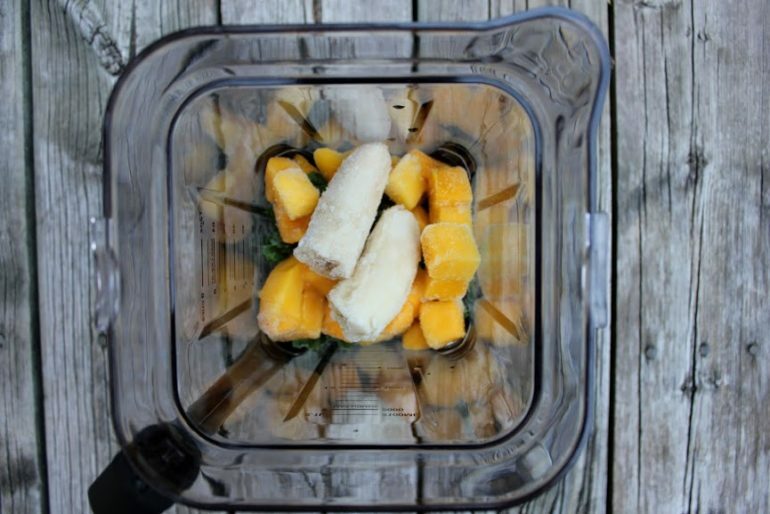 Though we love all colors of smoothie equally, moving away from the typical shades can be a really great idea. 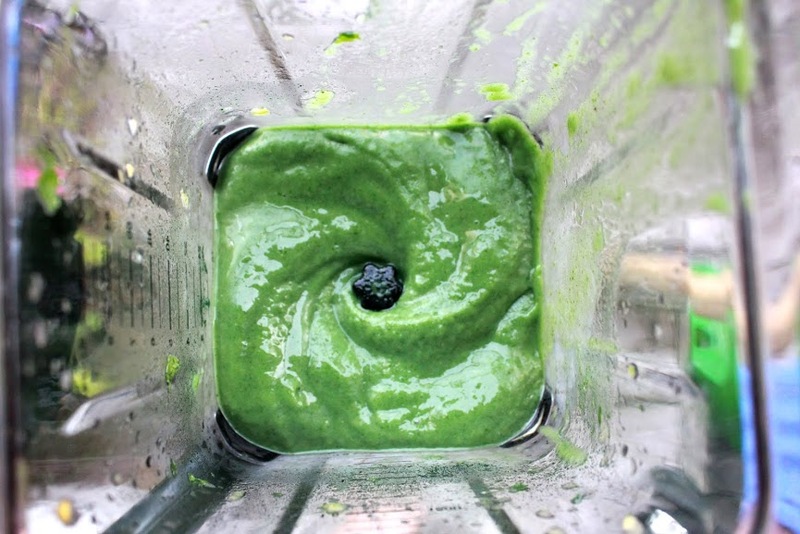 Green smoothies are less overdone, and are more likely to get people’s attention — the bold, unique color is really eye-catching. Plus, green smoothies are super delicious, and often healthier than other smoothies. Try these green smoothie recipes, or just add a cup of kale or spinach to a fruit smoothie to seriously up your game. 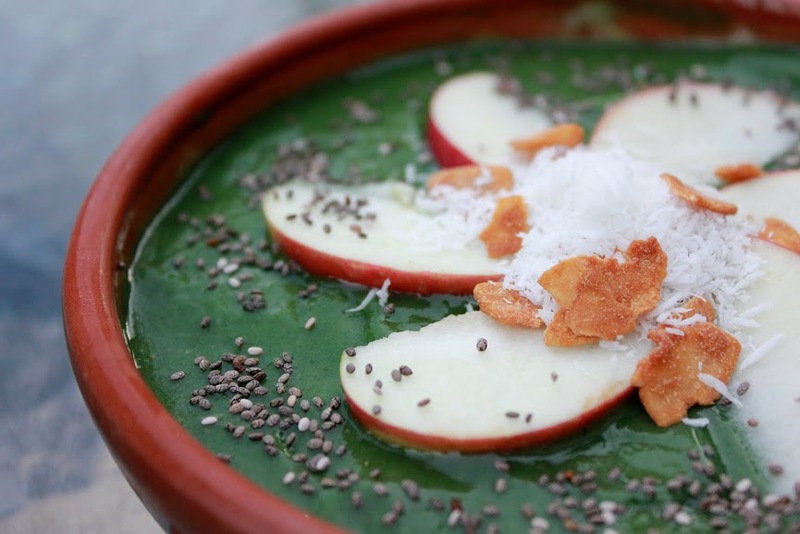 The best way to let the world know what’s in your smoothie bowl is to stick it on top. Use leftover slices of fruit, whole berries, and seeds to seriously jazz up your bowl — this is often what draws people’s attention the most on social media. Avoid clutter, keep it organized and you will be racking up the likes in no time. 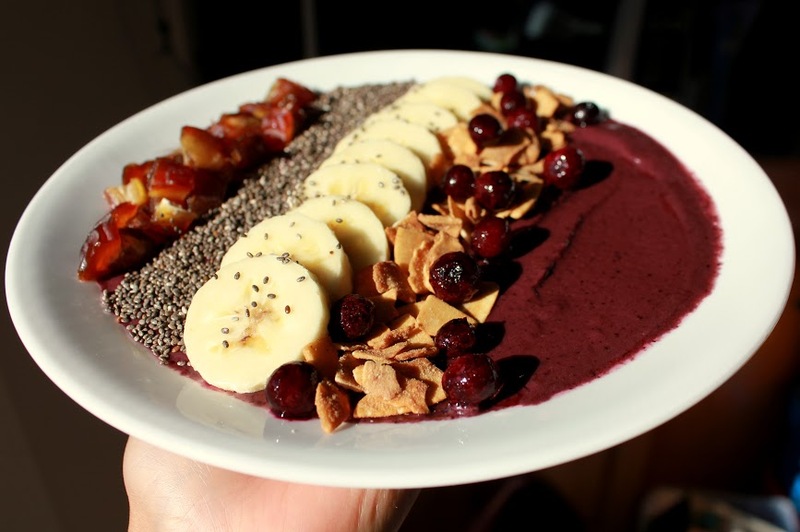 Think of your smoothie bowl as your canvas, and yourself as the da Vinci of da Kitchen. Peruse the smoothie bowl Instagram page for some cool garnish design ideas, or come up with your own. The key is to keep your bowl organized while letting your creative juices flow. While it can be super tempting to break out your cutest bowl for your smoothie, the best way to rack up those likes is to keep the background simple. Opt for a white bowl and plain backdrop to really make your smoothie stand out. 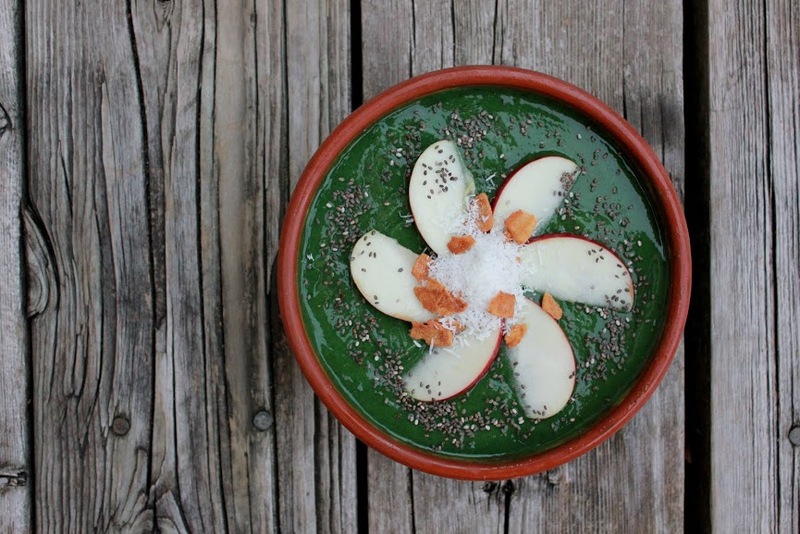 Adding subtle “props” around the smoothie bowl, like flowers or spilled chia seeds, can be a really creative idea, but make sure not to overdo it; the smoothie should still be the focus of the photo. The experienced selfie-takers know nothing ruins a great photo like poor lighting, and smoothie bowls are no different. Natural light will illuminate your smoothie bowl in an other-worldly glow, so try placing your bowl near a window with good light. #SpoonTip: The single worst thing you can do for your smoothie bowl is take a photo with flash. Trust me, it’s not going to look good. 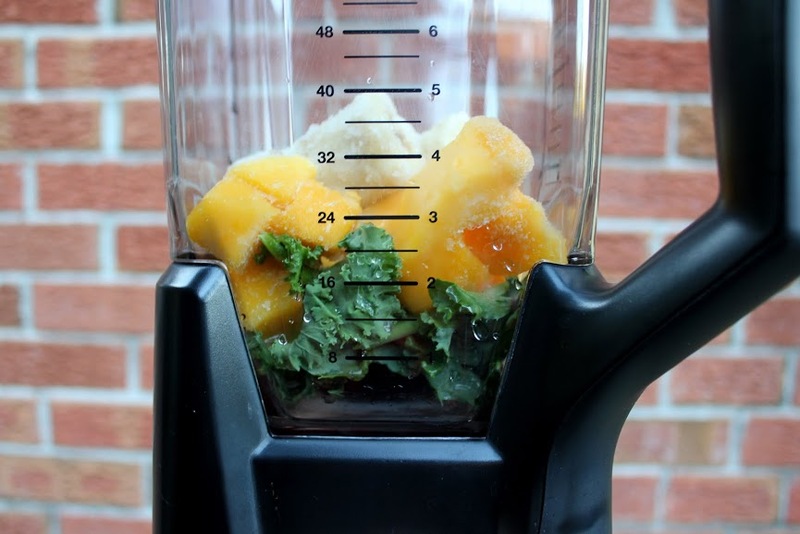 Smoothies look less and less appealing the longer they’ve been sitting out, so take your picture as soon as you are finished creating it. This will keep it looking fresh and help avoid soupiness — plus, it means you can eat your masterpiece quicker, which you are probably going to want to do after all this tiring photography. Best of luck in all of your future food Instagram endeavors, and don’t forget to #spoonfeed and you could be featured on the Spoon U Instagram page.